Since 1901, the Mackay family has been hosting friends and guests at the Lazy E-L Ranch in Roscoe, Montana. Thirty miles from Yellowstone National Park, the ranch has over 12,000 stunning acres adjacent to the Beartooth Mountains. Come to the Lazy E-L to experience over 100 years of history; an endless variety of horseback riding terrain; an authentic working cattle ranch; fishing, rafting, hiking and access to the great outdoors. The Lazy E-L Ranch is home to a variety of wildlife including deer, elk, moose, bear, mountain lions, Bald Eagles, Blue Heron, Sandhill Cranes, coyotes and wolves. The ranch lies across three valleys, spanning from the East Rosebud River to the West Rosebud River. 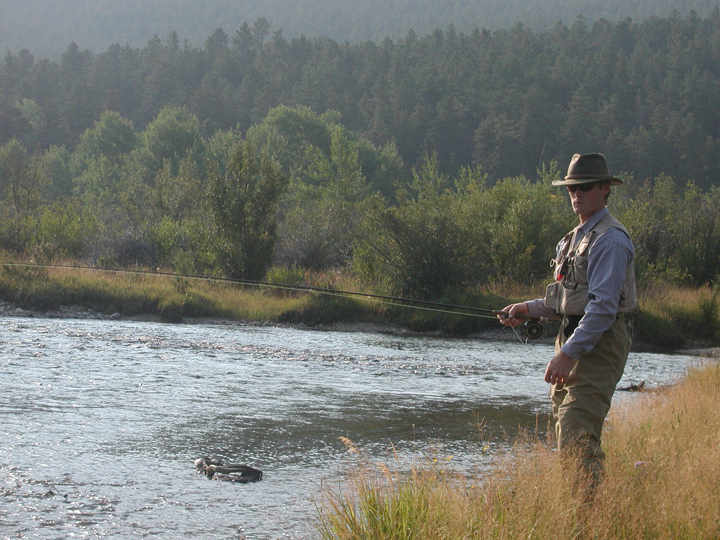 The West Rosebud offers five miles of private river access for some of the best fly-fishing in Montana. The Shorey Cabin, situated on the river near the southern border of the ranch, along the border of Custer National Forest, is the perfect place for an evening cookout after a day on the river. Shorey's is also a great picnic destination while exploring the ranch on horseback. 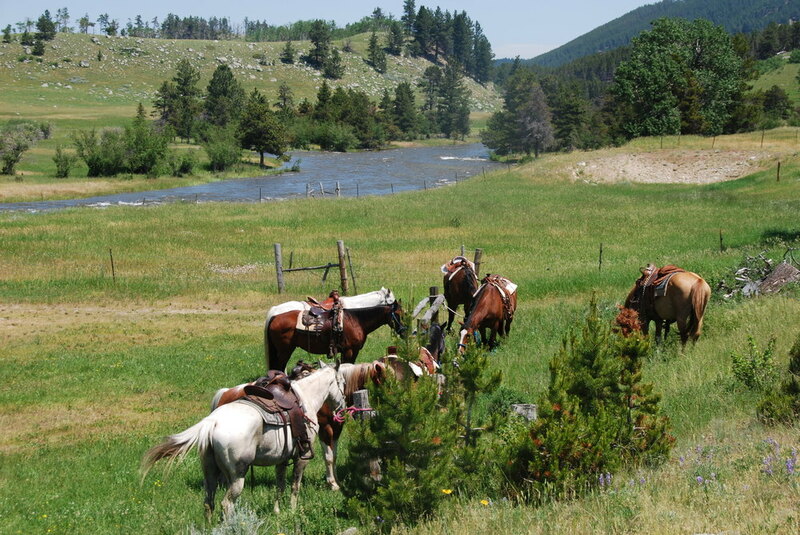 Horseback-riding on the Lazy E-L is a truly memorable experience, whether trail-riding through the woods, along the West Rosebud River or through open grasslands among the 2,000 head of cattle that graze the ranch each summer. 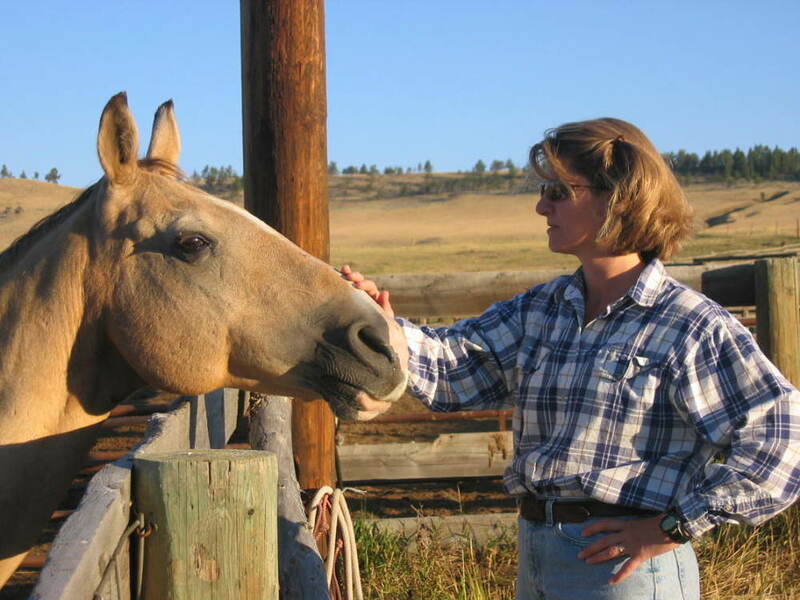 Riding is arranged through Deb and Steve Mikels, our Roscoe neighbors, who are outfitters and who have been taking family and guests riding on the ranch and in nearby national forest lands for years. We welcome you to come relax on pristine Conservation Land that will take you back in time and introduce you to a different pace of life.